Here’s a look at people who made headlines for their good deeds this month. Read on! #ImpactGurus is a series that sheds light on change makers across the globe and highlights the phenomenal work done by individuals to aid social causes, drive innovations in social projects and make a difference in the world. Big or small, we believe their actions and intentions deserve our acknowledgement. While news channels and tabloids are flooded with news pieces that are bound to bring down your morale, it is important to remember that there are people out there who are changing the world as we speak. Did you know that there’s a matrimony site that has been launched for HIV+ patients? And that a class 10 kid donated his scholarship money to free prisoners? If all of this is new information to you, let us give you some inspiring deets. It is a known fact that the stigma attached to HIV + patients in India is widespread. Many of them either never disclose their diagnosis to their own families, break off engagements with their partners or are rejected by others due to their condition. Hence it becomes difficult for HIV+ patients to find companions and get married. 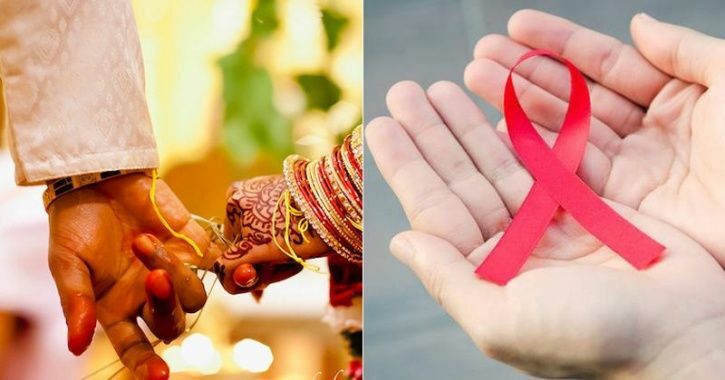 Surat-based organizations Shri Rama Krishna Group and Gujarat State Network of People Living With HIV/AIDS recognized this issue and therefore launched a matrimony site where HIV+ patients can connect with others with their condition. They also launched this site keeping in mind that western medicine has now made it possible for HIV+ to have longevity. “Because of this, there is an increase in demand in matrimony services,” says Daksha Patel, founder of GSNP+. The website has financial support from SRK Knowledge Foundation, and technical support from IIM-A. The matrimony site will connect HIV+ patients from all across the globe. Class 10 student Ayush Kishore has already achieved a lot of milestones at such a young age. In 2016, he won the National Child Award for exceptional achievement in academics, given to him by then president Pranab Mukherjee. He also holds a Limca Book of World Record for winning the Aloha International Arithmetic Competition and has been granted several scholarships by his school. Ayush added another feather to his cap by using his scholarship money to make a difference. On Independence Day, the boy paid for the release of 14 prisoners (12 from Indore, 2 from Bhopal), that had finished their jail term but were still behind bars since they lacked money to pay the fine. On August 26, Manoj Bhetia and his wife Beena made way to Manoj’s elder brother’s house with their daughters Riyona and Shrevya, to celebrate Raksha Bandhan. The family started preparations at 8:30 am when a tragic incident changed their lives forever. 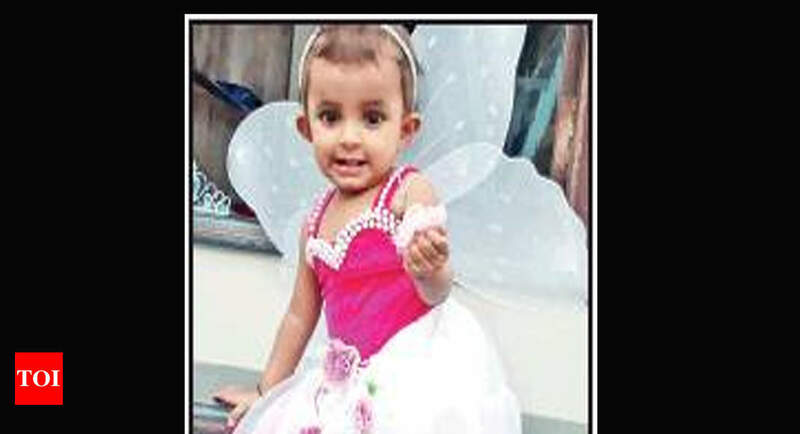 Their younger younger daughter Riyona, who was just 16-month-old and learnt how to walk, slipped and fell on the mopped floor, injuring her head severely in the process. She started experiencing convulsions and was rushed to the hospital. The little one couldn’t be saved as she had suffered a brain hemorrhage and was declared brain dead by doctors. They advised Riyona’s parents to donate her organs, so that another’s life could be saved. Despite being in shock , the Bhetia family agreed to donate Riyona’s kidneys and eyes. The 16-month-old’s kidneys were sent to the Institute of Kidney Diseases and Research Centre, Ahmedabad and eyes to Rajkota’s eye bank. Even though Riyona is not in this world anymore, the Bhetia family is making sure to continue her legacy by saving more lives. Who says superheroes aren’t real? Krishna Teja Mylavarapu is clearly one! The IAS officer hails from Andhra Pradesh and was appointed as sub-inspector in Alappuzha, Kerala. The minute he was assigned this position, the officer got to work. He travelled across the area not once but several times, inspecting the locations that were flooded. Overnight, he and his team gathered hundreds of boats and appointed several individuals and teams for rescue operations. 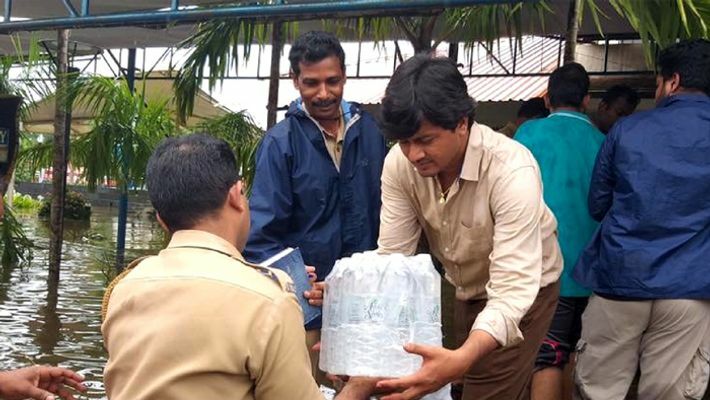 Thanks to his dedication, Krishna and his team managed to evacuate 2 lakh people within 48 hours! Most of us visit temples and offer flowers, garlands, coconuts, etc to our Gods. But thave you ever wondered what happens to these offerings? They eventually go to waste. Two engineering students are doing their bit to make sure this doesn’t happen. Yash Bhatt and Arjun Thakkar from Silver Oak Engineering College have taken up a project to convert 300 kg of organic temple waste to 100 kg of manure daily. The boys discovered that most of the offerings from temples was either dumped into rivers or disposed off with other garbage. 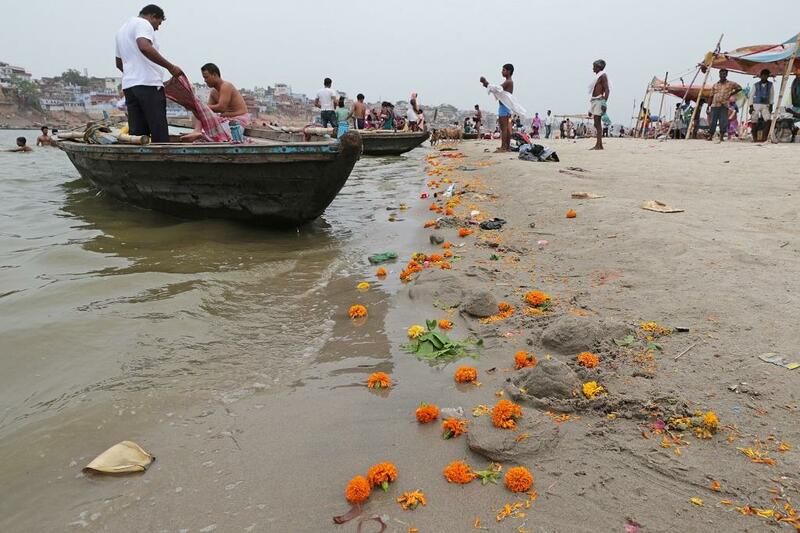 “We realized that disposal of flowers, leaves and coconuts was a major issue as they have religious sentiments attached to them,” says Yash. The engineers are currently carrying out this project across 22 temples, after being given a go ahead by the Ahmedabad Municipal Corporation. “We are currently selling the fertilizer at Rs. 60 per kg. Once the project is extended to the entire city, we plan to make incense sticks and rose water which will be sold under a registered brand name,” adds Arjun. Know more changemakers who are doing amazing work to make a difference? Tell us about them. Write to us at engage@impactguru.com!